Golf laser rangefinders emit pulses of infra-red laser light directed at a target. The reflected pulses are captured by a receiving lens. By measuring the transmission-reception time of these pulses, the rangefinder computes the target distance. 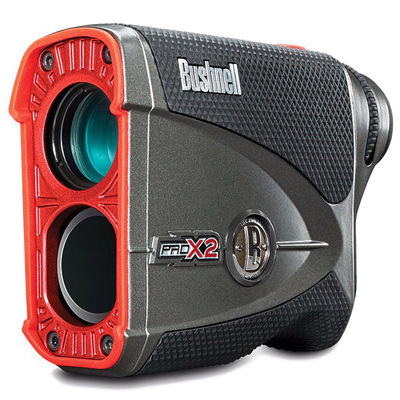 Several inherent factors affect the range and reliability of laser golf rangefinders. Pulse strength is limited to prevent damage to eyes. Other limiting factors are the optical quality, circuitry and the software controlling the device. Since laser rangefinders rely on a reflected beam to make measurements, the target’s reflective qualities will have an impact on range. Reflective surfaces such as water or sand can be measured at greater distances than flags. Dependent on the model, distances to flags can be effectively measured from 250-400 yards, while total range varies up to a maximum of about 1000 yards. Laser rangefinders generally perform well in all conditions, though are perhaps at their best in dim light. They may prove to be less effective in bright sunshine, while rain and fog will also affect performance. A Global Positioning Satellite (GPS) rangefinder relies on satellite technology to determine position within a few yards, but is generally not as useful as a laser rangefinder. Hand-held golf GPS rangefinders are heavily reliant on an accurate course map in order to determine distances. Such mapping is difficult and expensive to do properly, while the number of courses is huge. Some GPS devices incorporate software allowing the user to map a course themselves. However, mapping all course locations accurately is a nigh impossible task. Furthermore, GPS units are generally only accurate to within 5-15 yards. This equates to a full club distance, casting doubt on club selection. Finally, a GPS rangefinder offers no assistance at all on the driving range. 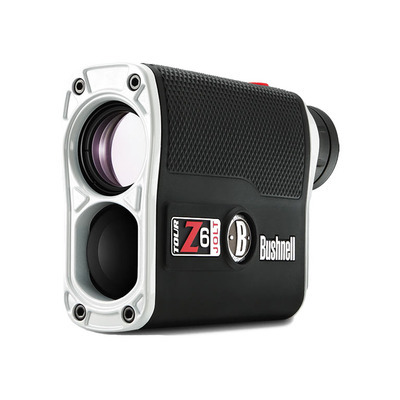 Laser golf rangefinders have the advantage that they can determine the distance to any point that is visible. 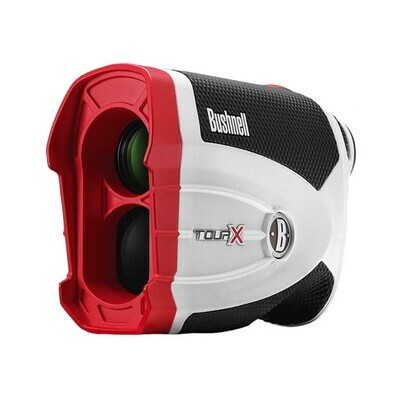 Along with effectively determining distances on the course, golf laser rangefinders are extremely useful in practice, especially for determining how far a player hits a particular club. Bushnell laser range finders are undoubtedly the most popular brand in the UK (and World for that matter), with models ranging from £135 up to £290. Nikon laser range finders are newer to the golf market than Bushnell. However, as you’d expect from a premium player in the optics field they make high quality range finders. This unit doesn’t have the pedigree or features of a Bushnell or Nikon but nevertheless is a good entry level laser for the money. If you’re looking for an entry level golf-laser then the Longridge Pin Point Laser Rangefinder is good value. 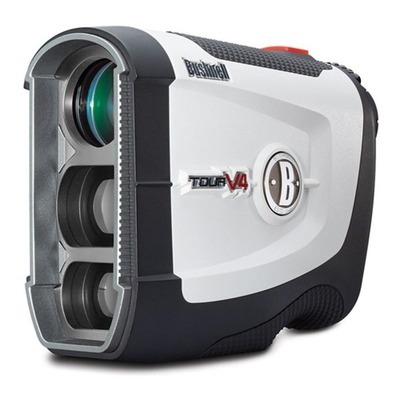 Legal for tournament play and handicapping, this rangefinder can measure yardages out to 600yards very accurately. 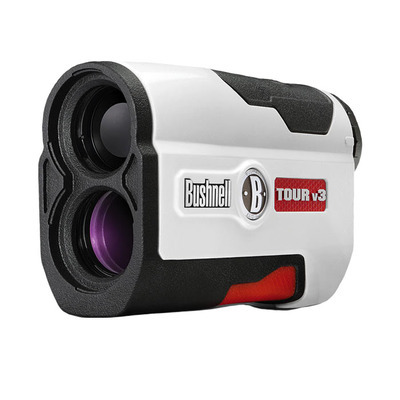 However, the most popular Bushnell laser rangefinder is the Bushnell Pinseeker Tour V2 Laser Rangefinder which is also legal for tournament play. It’s accurate to within a yard from up to 1000 yards and will range directly to the flag from 300 yards and trees from 700 yards. Reviewers consistently rate it as excellent value for money and comment on it’s ease of use.